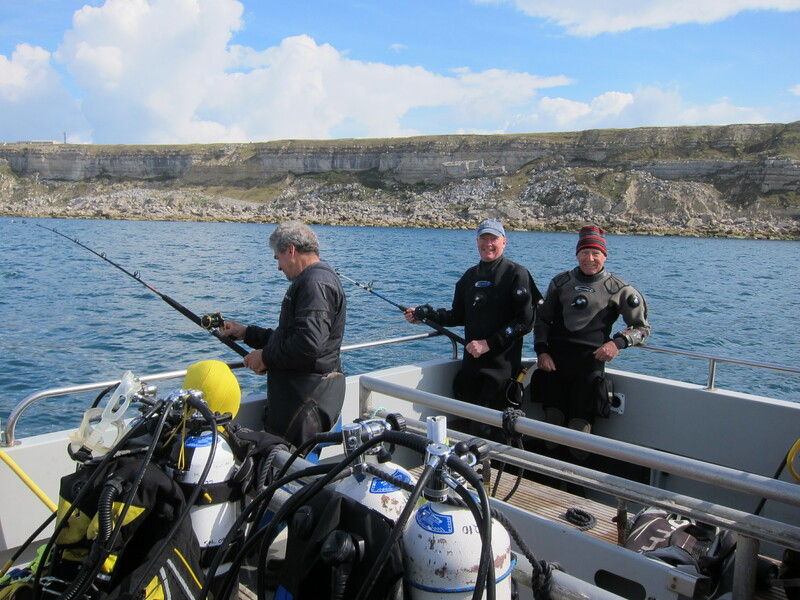 In 2016 after another May with cold water and poor viz the decision was taken to move our Weymouth week to September, the result was warmer water and excellent viz. The weather was as capricious as ever. On Saturday, our first day, we dived the Alex Van Opstel a Belgium passenger liner sunk in September 1939 by a mine while en route to Antwerp. 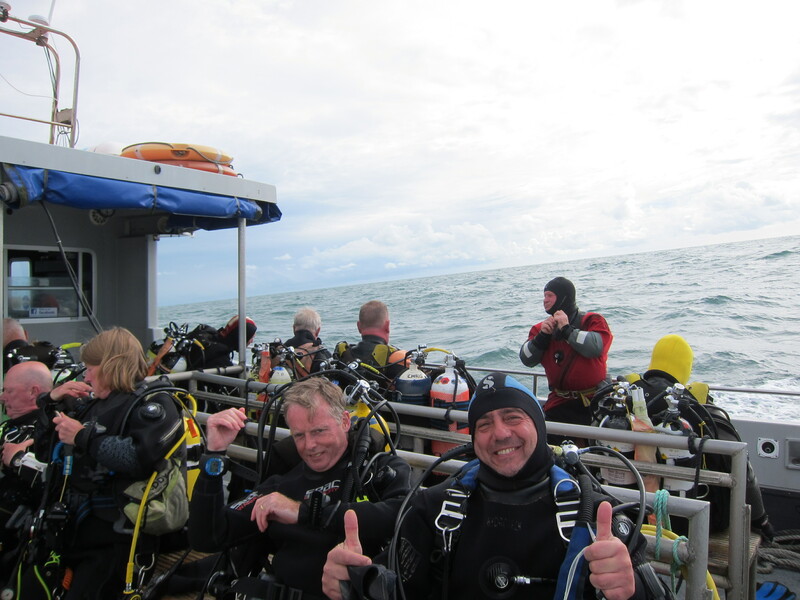 Our drift dive was scalloping on Lulworth Banks. To our delight the scallops were very plentiful with the young snapping around in front of us like a flock of demented dentures. Sunday we dived the James Fennel and a scalloping drift on Cannonball Run. 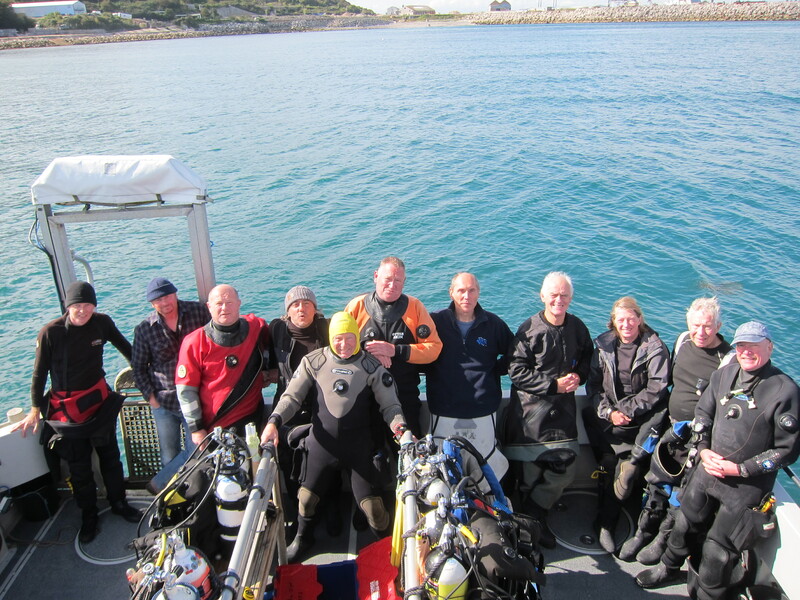 Monday, Tuesday and Wednesday the weather allowed us to dive west of Portland Bill and we enjoyed three stunning wrecks, the Landrail and the submarines the Sidon and M2. The Landrail was a beautiful wreck, very much intact and home to lobsters, conger eels and pollock. The Sidon was sunk about 1955 to be used as an underwater sonar target, a beautiful wreck with the viz so good we could sit on the conning tower and view the whole length of the wreck. The M2 also had viz good enough to explore the hanger and observe the huge conger eels that have made it their home. Thursday the strong winds that had been threatening us finally arrived, no diving in the morning but we managed the British Inventor in the afternoon. Thursday morning off gave us the opportunity to visit Portland Castle and the Castletown D-Day Centre. The Portland Castle was constructed by Henry V111 as one of a number of forts to protect Weymouth. The D-Day Centre was created to remember the part Weymouth played in the D-Day landings and the Americans troops who sailed from Portland Bill. Friday we dived the Binnendijk, a Dutch steamship that was sunk by a mine in 1939. Our drift dive was again on Cannonball Run and another haul of scallops to add to the full goody bags hanging from the pontoon in the harbour. Weymouth was a fun week of diving, the wrecks were full of crabs and lobsters and lots ended up in goody bags after each dive. Our surface interval time was spent fishing, not as successful as other years. It is amazing how the smallest of mackerel can get themselves hooked. Jim managed to catch 4 or 5 of them at a time all about 3 inches long. Gi had better luck and hooked some large enough to fillet and have for supper. I hooked a cuttlefish but on reaching the surface it spat out a jet of water, unhooked itself and disappeared under the waves. Kevin caught a red gurnard, much too cute to keep and it was carefully taken off the hook and returned to the sea.